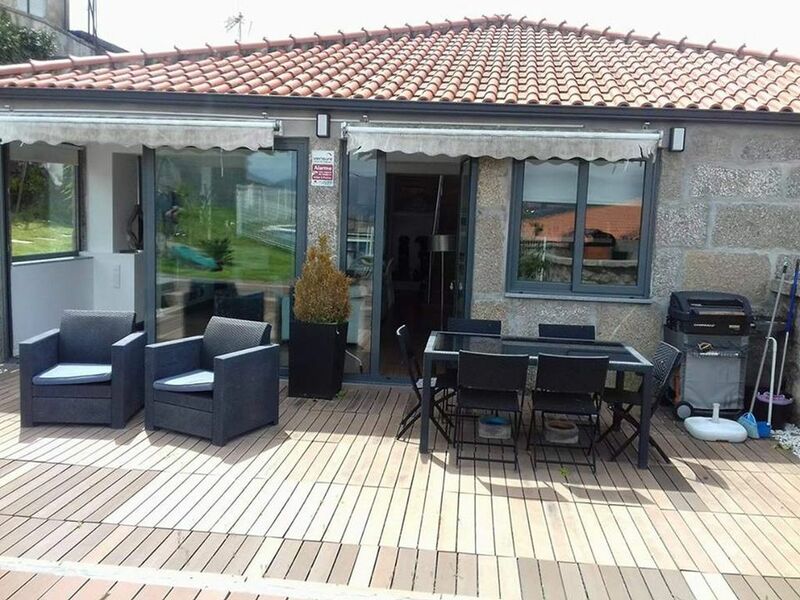 This villa, located in Douro, is ideal for 8 vacationers. It offers 3 bedrooms, a private pool and an enclosed garden. The lounge is perfect for unwinding after a day in the sun. Curl up on the comfortable sofa and enjoy a good book or take advantage of the amenities on offer, including a radio. The kitchen is well-equipped for cooking up your favorite meals. Enjoy your feast around the dining table which seats 10 or outside, on the terrace or in the garden enjoying views of the swimming pool and the mountains. The villa has 3 comfortable bedrooms, 1 including a double bed and private toilet, 1 including a double bed and a private bathroom with a shower and toilet and 1 including a double bed and a bunk bed and a private bathroom with a shower and toilet. The bathroom is fitted with a shower and a toilet. The villa features a desk, cleaning products, a vacuum cleaner, ironing equipment, a dressing room, air conditionning and central heating. Vale a pena! Vistas maravilhosas e excelente para relaxar e passear! Anfitriões muito simpáticos e sempre disponíveis para ajudar. Casa muito bem decorada, num local muito tranquilo. Ideal para passar uns dias relaxados. Situado muito perto de Resende, onde rapidamente se conseguem visitar locais muito bonitos. A casa é o sítio ideal para descansar e usufruir do contacto com a natureza. É perfeita para acomodar duas famílias, passar bons momentos com os amigos e familiares ou simplesmente para um fim de semana a dois. Aconselho vivamente a estadia! This villa enjoys a privileged location that will allow you to enjoy your stay in the area. Many activities await you in the surroundings, such as Water sports, Mountaineering, Rafting, Swimming, Hiking, Cycling, Fishing and Sailing. Rio Douro beach is 3 km away from the villa.